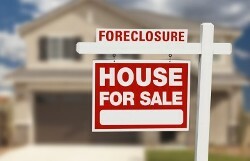 If you lost your Houston home due to foreclosure, you probably haven’t given up on the dream of owning a new home. The good news is that a number of guidelines have changed which may allow you an opportunity to buy that new home sooner than you think. Generally, lenders will take into consideration any extenuating circumstances surrounding the foreclosure on your TX real estate. There was plenty of discussion and debate leading up to the New Year’s looming “fiscal cliff”. Ultimately, the event was avoided, but not before legislation was passed which may benefit homeowners in Houston and nationwide. As a homeowner, you get access to special tax breaks which are unavailable to renters throughout TX and the country. Don’t leave tax dollars on the table. Speak with your accountant to see what claims you may make.